If you were burned because of the negligence or carelessness of another, The Law Offices of Michael A. Fiumara will fight for you so that you may recover compensation for all of your medical expenses as well as emotional pain and suffering. The Law Offices of Michael A. Fiumara Burn Injury Attorneys represent burn victims so that they will recover maximum financial compensation for their injuries. Scalding Liquids: This is the most common type of burn in the United States. Hot liquids and steam come in various forms—from showers, hot beverages, boiling or hot cooking oil, and any other kind of vapor which can cause serious burn injuries qualifies under scalding liquids. Heat/Flame: Open flames or any other type of heat source such as a stove, a radiator or steam iron are common causes of burn injuries in the United States. Some of these occur in industrial settings and others occur in residential or recreational settings. Electrical: Electrical current burns can be caused by faulty wiring, lighting, electrical outlets, fuse box, live wires that may have fallen after a storm, and defective products placed on the market or those who have been modified. Electrical burns are classified by voltage. First-Degree Burns-These are the least severe or serious of the three categories of burn injuries. They can also be referred to as a superficial burn because the damage only affects the epidermis. The victim’s skin will appear red, but usually will not blister. First-degree burns are expected to heal within ten days. Not everyone’s skin pigment is the same, so there is variation. Second-Degree Burns-These types of burns are considered moderate to severe depending on whether they extend into the superficial dermis only or do they extend all the way to the reticular dermis. In these cases, the skin will appear blistered and either red, yellow or white. Healing takes much longer than first-degree burns, anywhere from two to eight weeks to heal. Third-Degree Burns-These are most severe types of burns, extending through the entire dermis (the deepest layer of the skin) and the tissue underneath. Third-degree burns cause the skin to appear stiff and either white or brown in color. These burns often leave severe scarring and require skin grafts and other surgical procedures that can be expensive and painful. Internal Burns-Some injured parties may suffer from first, second or third-degree internal burns from inhaling or digesting an extremely hot substance or chemical. These types of injuries often include damage to the lungs from smoke inhalation, or to the stomach tissue from ingesting harmful chemicals. There are many different treatment options for burns. It depends on the type of burn, the degree of burn, and the person’s medical history. One of the most common treatment options for minor to moderate burns is antibiotics. These prevent burns from getting infected or they treat an already present infection. However, for severe burns, usually third-degree burns, treatment will likely involve a synthetic or skin graft in addition to antibiotics, and other skin-conditioning preparations. These grafts can use either synthetic materials or the victim’s own skin tissue to cover and protect exposed tissue and promote loose skin growth. In addition, scarring will need to be addressed with subsequent treatments and possible plastic surgery. Inhalation Burn Injuries– requires the expertise and experience of a skilled and knowledgeable team of attorneys. Damage from Smoke Inhalation: In the midst of a disastrous fire, oftentimes the major culprit is smoke inhalation. It is a silent perpetrator. Major smoke inhalation can cause a person like a firefighter to collapse and this individual is often untreated while the fire rages on since this injury remains unseen by the emergency responders. Emergency responders always attempt to treat a more noticeable and visible problem such as burns first. This type of oversight, unfortunately, has resulted in up to 80% of burn injury fatalities. According to the National Fire Protection Association, the majority of firefighters who are injured on the job suffer from some degree of smoke inhalation. Damage from Systematic Toxins: Toxic poisoning can result in permanent damage to the brain and other vital organs. In addition, a person’s ability to absorb oxygen can be adversely affected by the systematic inhalation of toxins. For these reasons, persons who are exposed to systematic toxins could suffer from confusion in regard to their surroundings, could become unconscious or could fall to their death. The symptoms of exposure to carbon monoxide, to the contrary, are impossible to identify until the victim has fallen into a coma and it can be too late. There are other systematic toxins that are invisible like the radon that emanates from the ground into the basements of some homes. Then there are other radioactive materials that are unseen by the eye but whose effect can cause devastating injuries and even death. Damage from Heat Inhalation: Breathing hot air from a flame source directly into the lungs can cause them to be burned. The same is true of individuals who inhale the heat from a force that is caused by high pressure. Most of the time, only the upper airways will be affected by thermal heat inhalation. However, there are circumstances in which the secondary airways can be affected. For example, the inhalation of steam has a greater thermal capacity than dry air thereby bypassing the trachea which normally shields the lungs from dry air. 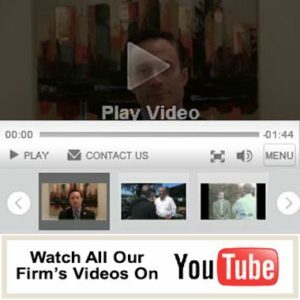 If you were involved in a vehicle accident or one with a truck or tanker that resulted in a fire or perhaps your landlord had the water heater set to a temperature that was far too high resulting in a scalding water injury, then these are the types of cases that you should consult The Law Offices of Michael A. Fiumara personal injury attorneys at your earliest convenience because we are here for you. Scalds are burns that are caused when hot water or steam makes contact with the skin. A scald burn can take place immediately. For example, a third degree burn takes only one second when the water temperature is 180 degrees or above. Scald burns occur most frequently to young children, elderly adults and persons with disabilities. Other third parties, including governmental entities. If you were burned in a scalding incident that was caused by the negligent, intentional or reckless conduct of another, you may seek FULL monetary compensation for your injuries. The attorneys at the Law Offices of Michael A. Fiumara represent clients who have been injured in scald burns. A personal injury lawsuit may seek compensation for medical and hospital expenses, pain and suffering, lost income and more. Homeowners, apartment renters, hotel and motel guests and others who use water from sinks, showers and bathtubs are all at risk of scalding burns. Employees and patrons who use these everyday water sources are subject to their sudden changes in temperature, and thus, scalding. Perhaps the local plant in your neighborhood has been spewing out harmful chemicals and/or other contaminants and you have developed a burn, rash or skin condition, then feel free to contact us immediately. Please feel free to discuss your burn injury with The Law Offices of Michael A. Fiumara during a free and confidential consultation with any one of our team of attorneys at The Law Offices of Michael A. Fiumara today, 24/7. There is no obligation and the consultation is free. Please contact us at 707-571-8600 in Santa Rosa or 415-492-4507 in San Rafael. It is clear from the above that burn injury cases can be complex and serious. Knowing which treatment would be most effective for the victim can be confusing and fraught with insurance red tape. A burn injury demands the assistance of our experienced team of California personal injury attorneys at The Law Offices of Michael A. Fiumara. We will listen to you, learn about your symptoms, and discuss all of your legal options. We work on a winning strategy that will put you back to where you were prior to this unfortunate burn injury. Please allow our experienced team of personal injury attorneys at The Law Offices of Michael A. Fiumara handle the insurance companies who are not your friends so that you may receive the compensation you deserve. Our attorneys are always available to travel to your home or the medical facility where you are being treated to answer any and all of your questions regarding your case. This gives you the best chance to heal and recuperate. Please remember that if we don’t win your case you don’t pay since we work on a contingency basis.